Can Plastic Surgery Become Addictive? A couple weeks ago the cover of a “her world” magazine caught my eye and I ended up taking a picture of it. As you can see, I zoomed in to the part that caught my attention. Although I have written about this in a previous post where I talked about cosmetic surgery becoming an addiction just like tattoos or other vice, this instantly hit it home for me. Is it really this bad? Can one really get addicted to plastic surgery? The answer to both questions sadly is: Yes. People can get super addicted to cosmetic surgeries. 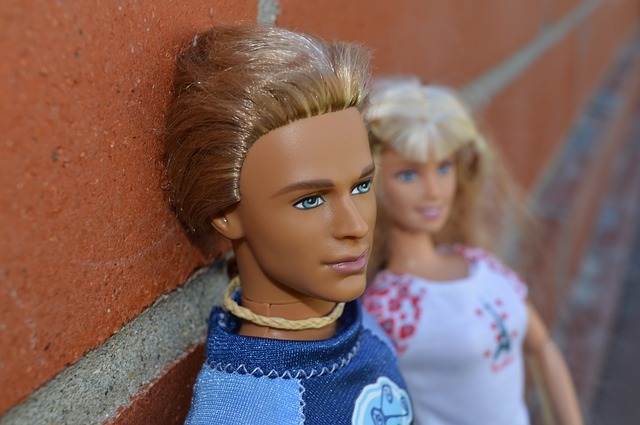 Google “human Ken doll” – a good looking young man – who spend tens of thousands of dollars on cosmetic surgeries to try and look like the Ken doll. He ultimately butchered the already good looks he had (in my honest opinion). Or google the dozens of women around the world spending hundreds of thousands of dollars trying to look like a Barbie doll. It’s downright disturbing what they look like now and how much they spent to look that way. You could argue that they aren’t really addicted and that they just have an end goal in mind as to what they want to look like. This might be partially true, except for the fact that they never truly get to that point. Meaning they will continue to get surgeries… forever… just to achieve that unrealistic goal. 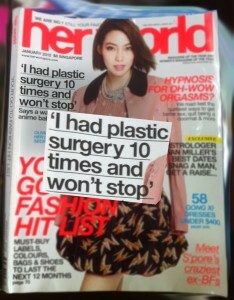 I have watched numerous documentaries and read dozens of stories of women who wanted to get a minor plastic surgery with no intentions of getting any ongoing surgeries but after recovering from the first one, they ended up going back for dozens more. #1) I find it interesting that women keep going back for more surgery after the first one. Is this to fix the damage that was done with the first one? Look at movie stars and some of the famous singers who have gotten dozens upon dozens of these surgeries. It is obvious that they would not have gone with the cheapest surgeons around because if anyone has spending power, they do. My point is: even if rich and famous people get their appearance messed up by plastic surgeons, how much more so would this be the case for the average person? Even if plastic surgery itself were not addictive, chances are great that patients will get many more surgeries after the first one to recover from the damage done – especially nerve damage – in the first one. And then more surgeries to fix the damage done in the follow-up surgery etc. It quickly turns into a vicious snowball effect at this point. #2) If you have studied human psychology at all, you will know that there is indeed a psychological factor at play where people have a hard time accepting the changes made to their appearance. This leads to them getting more and more surgeries in hopes to gain an image of themselves that they can live with again. Trying to reach a stage of self-acceptance through cosmetic surgery is like trying to achieve the state of nirvana while being a serial killer: No matter how hard you try, you never truly get there. It is an unfulfilling, slippery, and downright dangerous path to thread on. Don’t get me wrong: I don’t hate on people who have gone through cosmetic surgeries. In fact, I know plenty of people who underwent cosmetic surgery and I supported their decision. The difference was that it was usually to correct and fix a birth defect, restore their self image after an accident (car accident, acid or other burns) or other more understandable surgeries. None of them did it for the sake of overcoming their poor self image. And none of them were trying to change their appearance for the sake of trying to look like Barbie, Angelina-Jolie, or someone other than themselves. If you feel the need to undergo a cosmetic surgery, do so knowing that your self image won’t change much. If you are already insecure, a cosmetic surgery won’t fix it. If you already despise your body type, cosmetic surgery is not the magic solution. Look, if you feel the need to enhance your natural God-given beauty, I get it. And I will be the first to rally behind you and support you in that decision if the whole idea is to become a better you. But do yourself a favour and opt for natural beauty enhancement options instead of dangerous and expensive cosmetic surgeries. Sure the results are not going to be instant, but the regrets won’t be eternal either. 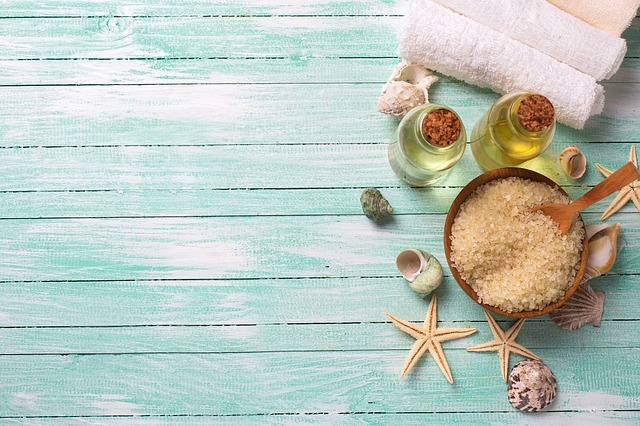 Thanks to the modern day free market most of us enjoy, we have access to a plethora of natural beauty products. Many of which I review on this blog. Be it breast enhancement serum or breast enhancement pills, know that you have plenty of non-surgery options available to you. Is plastic surgery addictive? I don’t think it is as much addictive as it becomes “necessary” in the patients view. No one likes to get cut on, but many will let themselves get cut up for a glimpse of hope that they will be prettier afterwards. In either case, plastic surgery is dangerous and unless it were for major reconstructive surgery, I personally would strongly advise against it. You are beautiful as you are. Naturally enhance your beauty if anything and you will not have to permanently live with the possible devastating side effects of plastic surgery.